So, yeah, druids. Well, my current main is a druid, but do I have alt-druids? 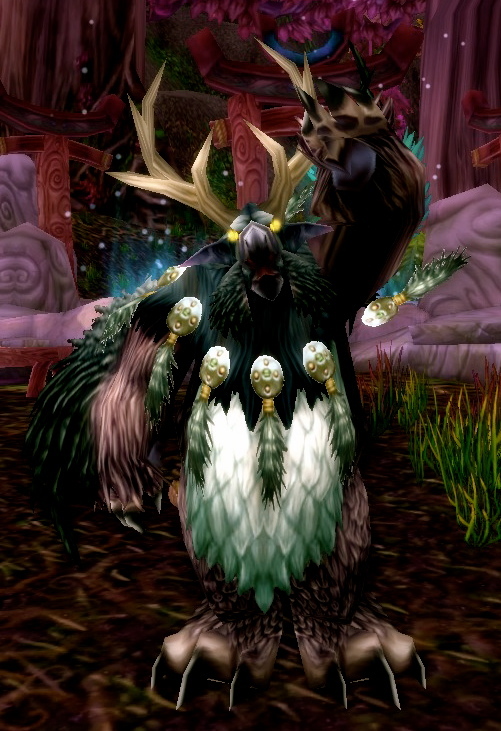 There are some low-level druids running around, but they were made for short-time fun mostly. The only druid I played to level 60 or so is long gone, that was a kitty iirc. 1. A character I once played till the level cap of an expansion. 2. A character I am currently playing. Simple rules, so that means Tamarian of last week was a real alt btw, levelled to 85 during Cata, and... that means Mardah also falls into this category, levelled to 80 during Wrath when this was still more a Tankadin-blog. 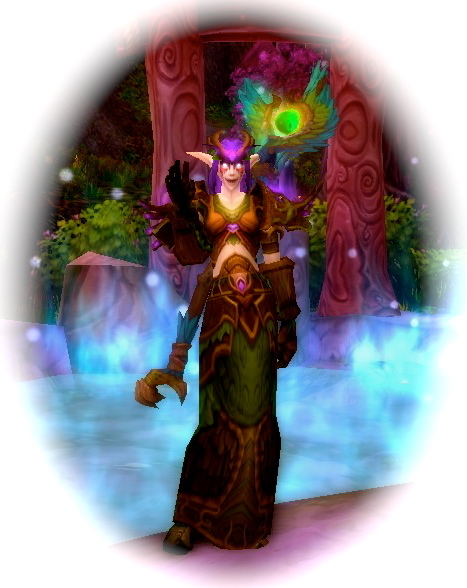 As mentioned some years ago, Mardah actually started on another server, and for a long time was a level 3 sitting in the Night Elf start zone. After I stopped raiding I levelled her up, I remember a Sunken Temple run where I healed, dps-ed and tanked, this was back when ST was Big. Somewhere along the line I brought her to Argent Dawn to play with some friends. I actually did a PuG-raid of ICC with her, as a Tree.... back when tree-form was needed for healing. At the start of cataclysm, after my paladin levelled up, I levelled Mardah. Disgusted by the fact that my beloved tree-form was gone, I went Balance, and I liked the lightshows. So much, that I actually applied to a guild, and started raiding again. Now with Mardah as main.